The 2008 games were a tragedy for human rights. Now 2022 looks similar. 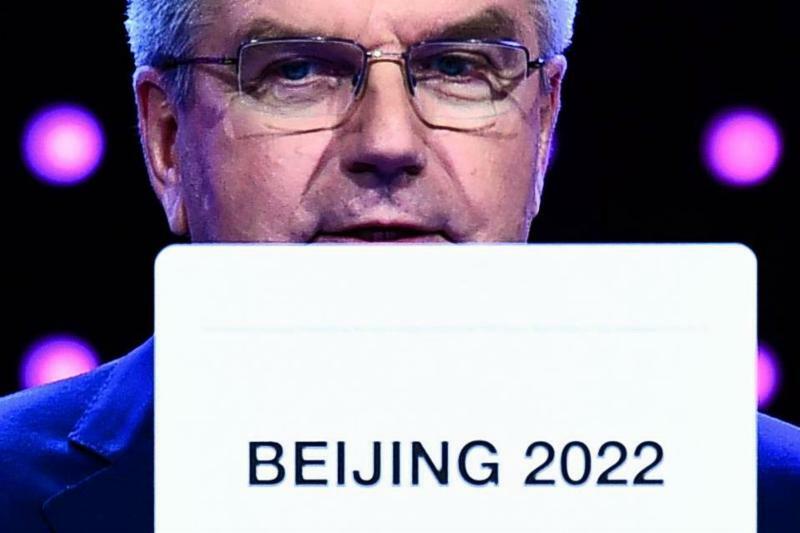 Beijing has been selected to host the 2022 Winter Olympics, making it the first city tapped to host both the Summer and Winter Games. In deciding this, the International Olympic Committee has chosen to trust Chinese government assurances concerning human rights, even though Beijing’s record in preparing for the 2008 Olympics was deplorable. The IOC seems not to care. In the run-up to the 2008 games, the Chinese government imposed new restrictions on journalists, migrant workers, and the freedom of expression and association. The government evicted hundreds of thousands of Beijing residents and replaced their homes with Olympic venues. Outspoken dissident Hu Jia was sentenced to 31/2 years in prison for “inciting subversion” after calling into a European Parliament hearing in which he said China wasn’t meeting its commitments to the IOC. In a letter last month, IOC official Mark Adams said that Beijing had given the IOC new “assurances” concerning “human rights, the right to demonstrate, media freedom to report on the Games with no restrictions on the Internet, labor rights, displacement, and environmental protection.” He said the IOC “is confident that the Government of China would take all necessary measures to ensure the Olympic Charter” and its IOC contract “would be respected should they be elected.” In other words, it’s 2008 all over again. In its own evaluation of Beijing 2022, the IOC notes a broad range of concerns, including the Chinese government’s need to relocate thousands of people, to divert scarce water supplies for artificial snowmaking and to protect air quality around venues. Unmentioned, though, was the inevitable use of migrant labor, which led to some of the worst pre-2008 abuses. Has the IOC received specific and legally binding commitments from Beijing? Its public statements suggest not. Official Chinese assurances are worthless unless they are enforceable. Meanwhile the IOC contract appears to demand media freedom only for the eight-week period before the games and only concerning the sporting events themselves. Thus Beijing is free to deny visas to journalists seeking to report on the development of the Olympic venues, to censor reports about human-rights and labor problems, and to use its array of national-security laws to threaten or arrest journalists publishing inconvenient reports. Beyond media freedom, the rest of Beijing’s commitments are unknown and shielded from public scrutiny in confidential documents cited by the contract. The corruption scandal at FIFA, soccer’s world governing body, only reinforces the perception that international bodies like the IOC are corrupted by the Chinese government. The only antidote to these views is transparency and accountability. This woefully inadequate assessment suggests that without serious corrective action, Chinese leaders will have a new license to act with impunity from now until the lighting of the opening torch. Mr. Yang, a former political prisoner in China, is president of Initiatives for China. Mr. Genser is founder of Freedom Now, an organization that works to free prisoners of conscience worldwide.